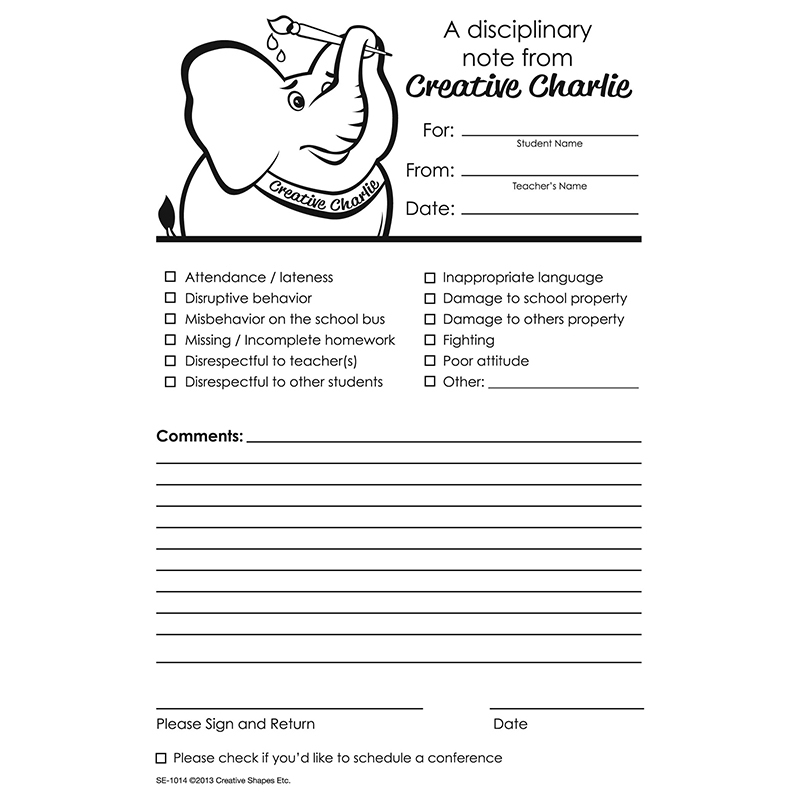 Notes from Creative Charlie are great for documenting communication. Two-part carbon-less forms documents communicatin and creates a copy file instantly! Ideal to protect teachers and the student's signature verifies parental acknowledgement. Perfect for documenting student progress, initation for meetings, disciplinary actions, requests for help with homework, and more.